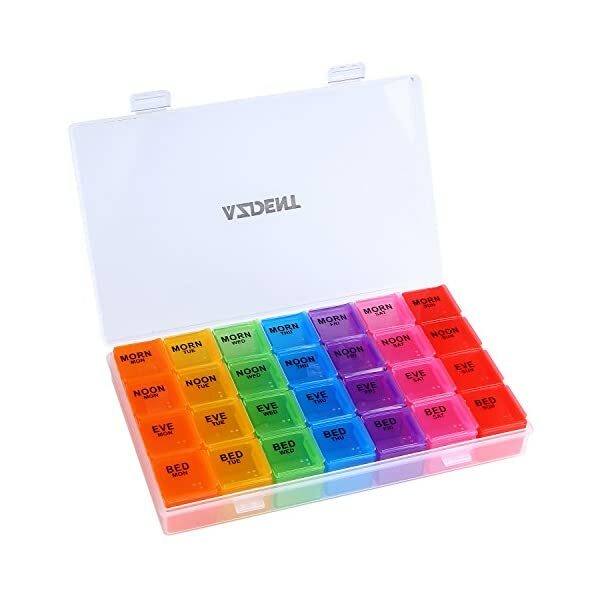 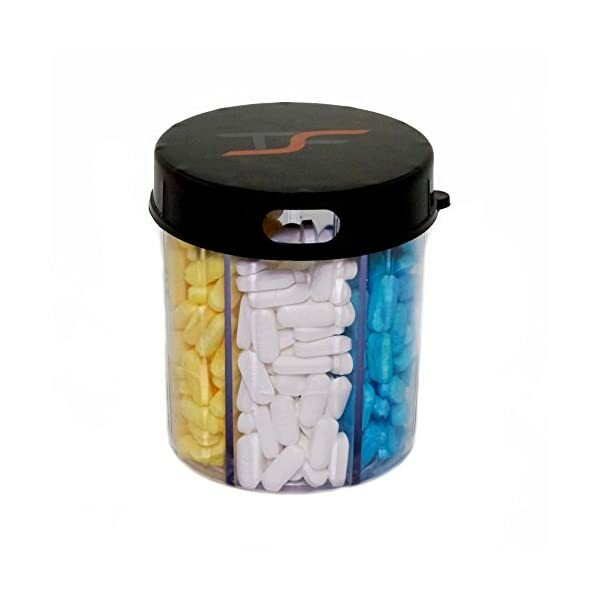 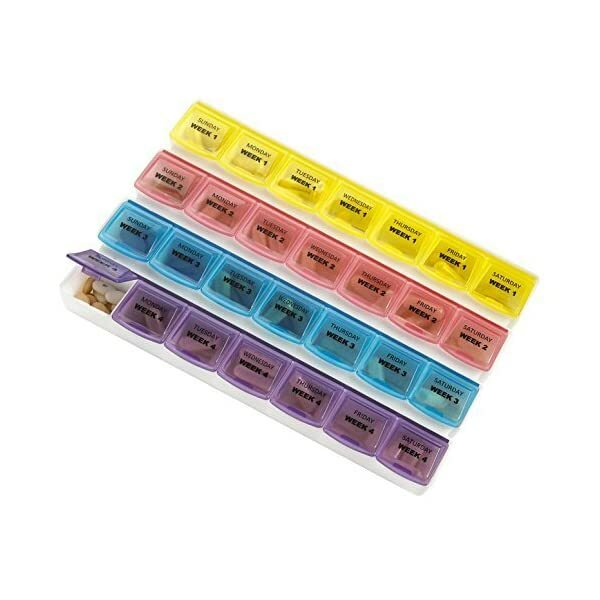 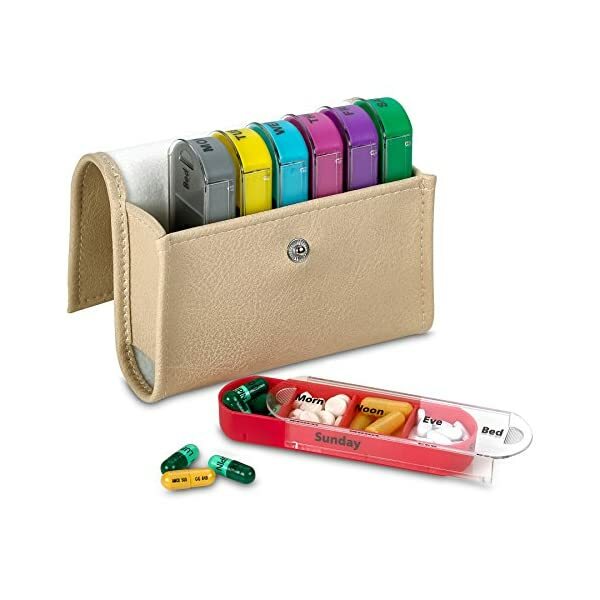 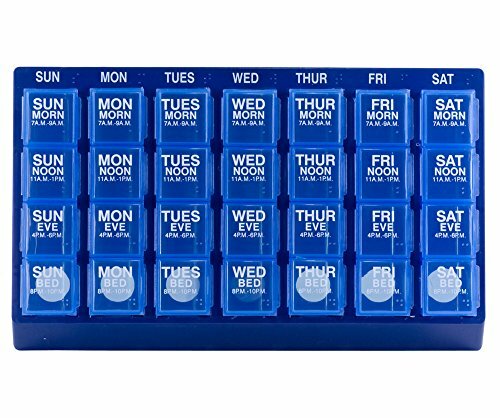 RAINBOW COLORED—Pill cases with various colored compartments and slots makes it easier to remember and distinguish your daily pills. 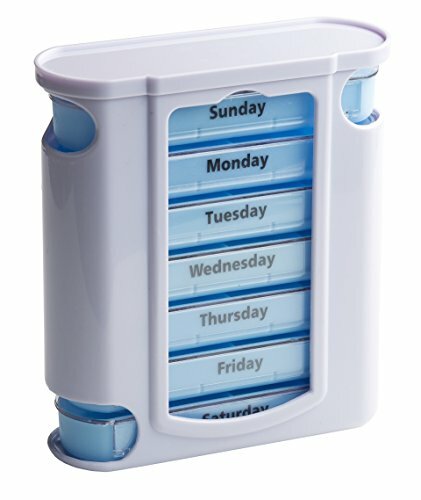 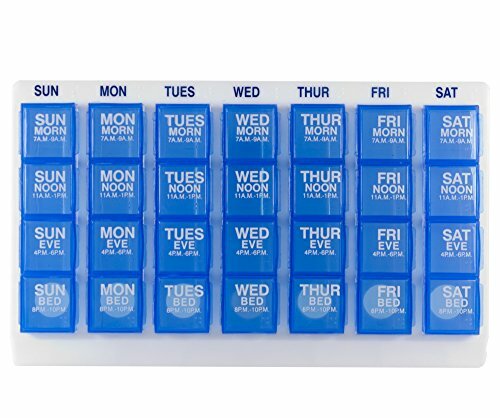 COMPACT & PORTABLE—This small weekly pill dispenser is convenient to take,you can put them in your desk,bag or car,suitable for the elderly,business people,or those in traveling. 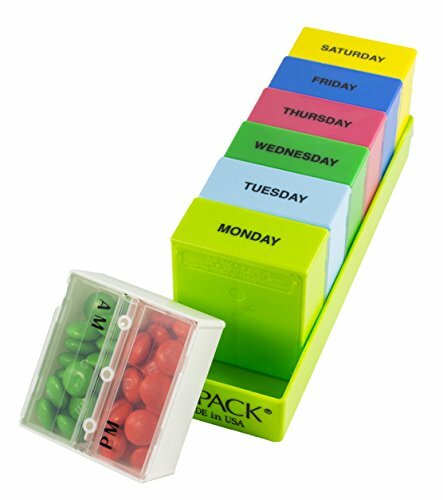 MULTI-FUNCTIONAL USAGE—Not only works as a vitamin/pill organizer box, but also store headset line,jewelry,headgear,other small items.